The Jet Skis we run are the Yamaha VX110 Deluxe. 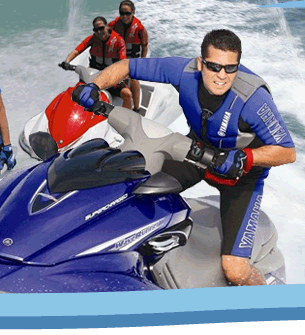 We buy brand new jet skis every year so that we make sure you are on a safe, dependable machine. 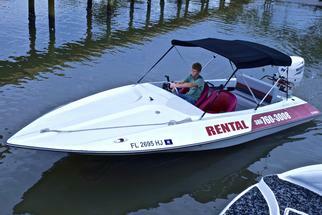 Experience the thrill of a 110hp motor underneath the seat with he ability to reach speeds of 50mph! 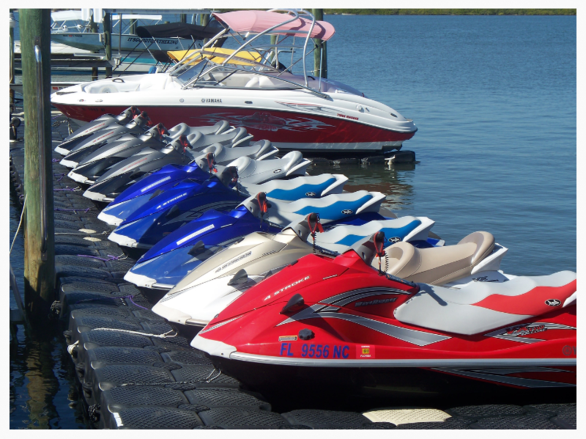 If freedom riding is what you’re after, we have the largest water sports area in North Florida. A water sports area means there is no through boat traffic allowed. This makes it a much safer area to play and swim. The riding area is two miles long and one mile wide. The riding area is only 5 feet deep. 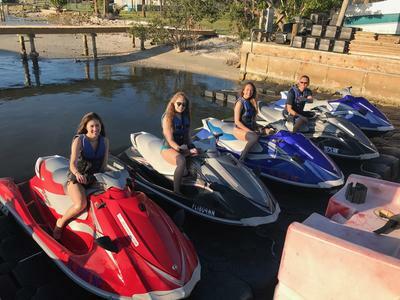 Our fleet of waverunners always include the newest Yamahas jet skis available. 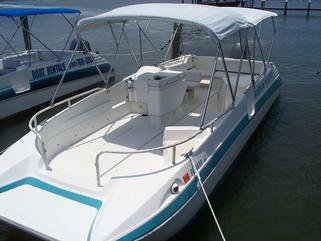 Each waverunner provides a stable and comfortable ride for 1 to 3 passengers. Whether you feel the need for speed or just want a slow steady ride we have the right jet ski for you. ​A personal flotation device and full safety instructions are provided so beginners and young riders will feel confident.